TAMPA, Fla. -- As Florida schools prepare to fill next year's vacancies, thousands of aspiring Florida teachers continue their battle just to get in the classroom. promising young teachers who excelled in college but have repeatedly failed Florida’s teacher licensing exam . Over the course of the last year and a half, we’ve also shared how active teachers with proven records in the classroom were terminated because they couldn't score on the state's mandatory licensing exam known as the Florida Teacher Certification Exam (FTCE) . According to a spokesperson with the FL Department of Education (FDOE), the tests were made more rigorous in 2015 to better align with tougher student tests. Among the change to some of the tests included raising the score for passing. In 2017, when we first reported the unprecedented failure rates resulting from the revised tests, a state spokesperson responded to our questions stating that the FLDOE "anticipated" the change in pass scores, adding scores typically "increase over time." But more than a year after our initial reports and three years after the state implemented changes to the tests, we’ve discovered the latest pass rates still appear to be pretty miserable. According to 2017 pass/fail rates , pass rates for elementary math (first-time attempts) was 61% last year, up just hair from a year earlier but still down nearly 25% since before the test was revised. Passage rates for General Knowledge math were at 57% for the third year in a row and Elementary Language Arts remained static with a 54% passage rate, new state data shows. These passage rates represent a twenty to more than thirty percent drop in passage rates since the test was made more rigorous in 2015. The increase in failure rates on the exams have impacted virtually every level of Florida’s education system. We discovered through our Emmy-award winning series of reports, local school districts are being forced to let go of teachers who are teaching with a temporary teaching certificate until they pass the test even if the teacher is deemed a highly effective teacher. We’ve also learned colleges and universities across the state are dealing with lower enrollment in College of Education programs and fewer graduates. Graduates of many education programs can’t get their degree until they pass the state’s licensing exam. “It’s an issue. It’s been an issue for 3 years now and I don’t see it changing,” said Associate Dean Dr. David Allsopp from the University of South Florida’s College of Education. By the end of this past spring semester, nearly a quarter of education students had yet to pass portions of the General Knowledge part of the exam. “That’s a lot of teachers, potential teachers who aren’t able to become teachers because they can’t pass,” he told us recently. The college has been trying to help students better prepare for the exam by offering study boot camps and most recently, the school started offering online test prep courses to help students pass the test. When asked if the failure rates are a reflection of an outdated college curriculum, Dr. Allsopp responded, “The content your seeing on the General Knowledge Test (GKT) is not college level content, it’s what you see in high school.” Dr. Allsopp also added that its college curriculum is evaluated and approved by the state. Most recently, USF analyzed student test scores on the General Knowledge part of the exam with program evaluations. The study, which analyzed scores and evaluations based upon 2014/2015 data showed no correlation between the state test and student quality as a teacher. The results are only preliminary but revealing to Dr. Allsopp. "It showed there's not a connection between whether I pass the GKT the first time, second time, third time or fourth time and my quality as a teacher," he said. We also reported how two examinees of this test (FTCE) and the state's leadership exam (FELE a test for teachers entering the administrative track), took their frustration over repeatedly failing the exam to a state administrative law judge. Both examinees argued the tests, administered and scored by Pearson Vue, lacked validity and reliability in its scoring process. In both cases, the FLDOE and Pearson disputed the claims. The Administrative Law Judge ruled in favor of FLDOE. “Putting an emphasis on one or two or three initiatives that might be attributing to whatever success or lack of success there is doesn't make much sense," said Dr. Allsopp. “There are a lot of factors that play a role in an individual student's success. Is a test the only determiner? I don’t think so,” he said in response to the FDOE’s statement. “Those are two separate issues. Are we saying those who are passing are providing better outcomes?” asked Florida Representative Robert Asencio, a Democrat from Miami-Dade who also didn't buy the state's response. 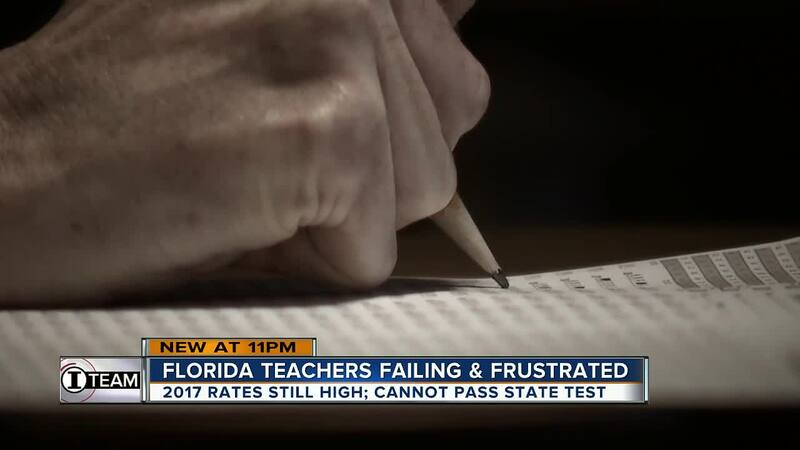 As a result of our series of reports, “FL teachers failing & frustrated”, Representative Asencio introduced legislation calling for an independent task force to ensure the validity of the test, he also wanted better study guides and lower costs. While his bill never went anywhere, Asencio isn't giving up. “It's unfair, it's unfair to have people fail and leave them with the uncertainty of not really knowing why they failed,” he said. Or, as the latest test results show, why the state does not appear to be doing much to help them. State efforts to help teachers pay for the tests have also failed. Money that would have helped some examinees pay to take and re-take the exam was part of a budget package submitted by the FL Dept. of Education but was not approved by the legislature. 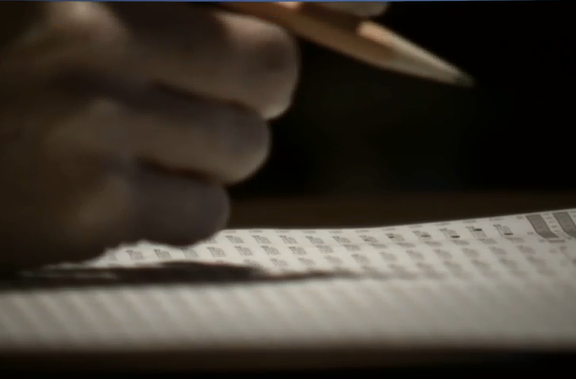 See more from our Emmy-award winning series FL teachers failing & frustrated.